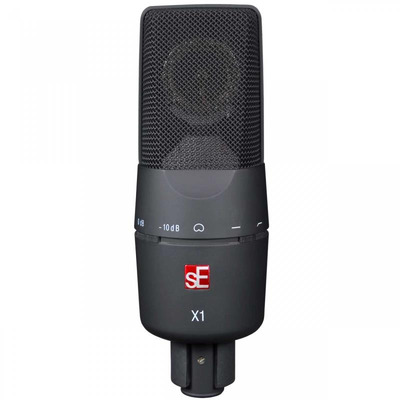 The sE Electronics X1 A is the new entry point to sE's acclaimed X1 Series. The X1 A features a newly-developed acoustic design with a carefully selected condenser capsule, low noise electronics, an integrated windscreen, and a gold-plated XLR connector. Thanks to its carefully selected capsule it offers an even, well-balanced frequency response while the internal electronics exhibit better specifications and sound - on and off the test bench - than any other microphone in its class.